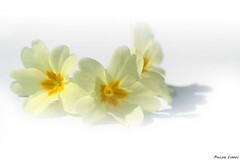 ← Buon San Valentino !!! Canestrelli, my way !!!! 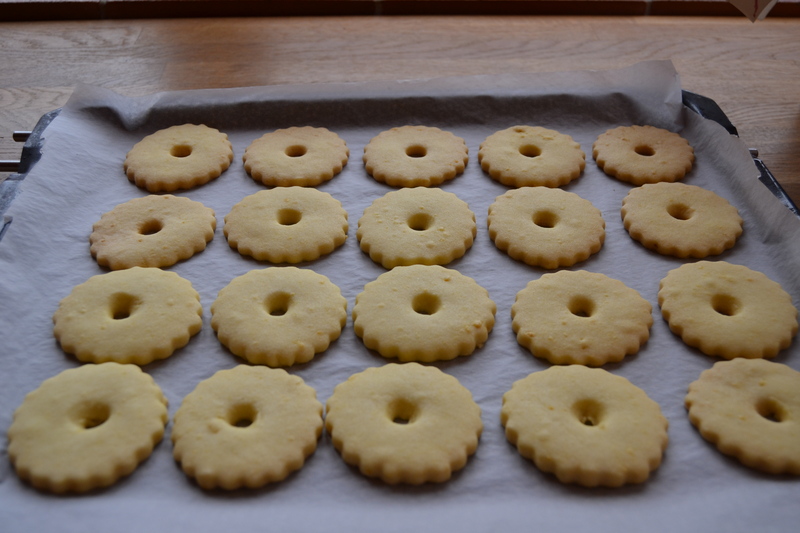 Today i’ve prepared this very buttery cookies, perfect for teatime. 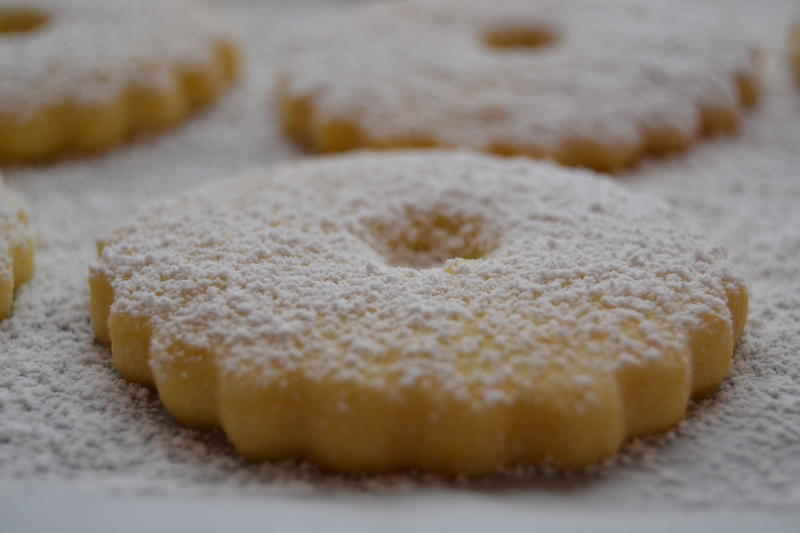 They are typical cookies from Liguria and Piemonte, very soft, friable … and delicious !!! 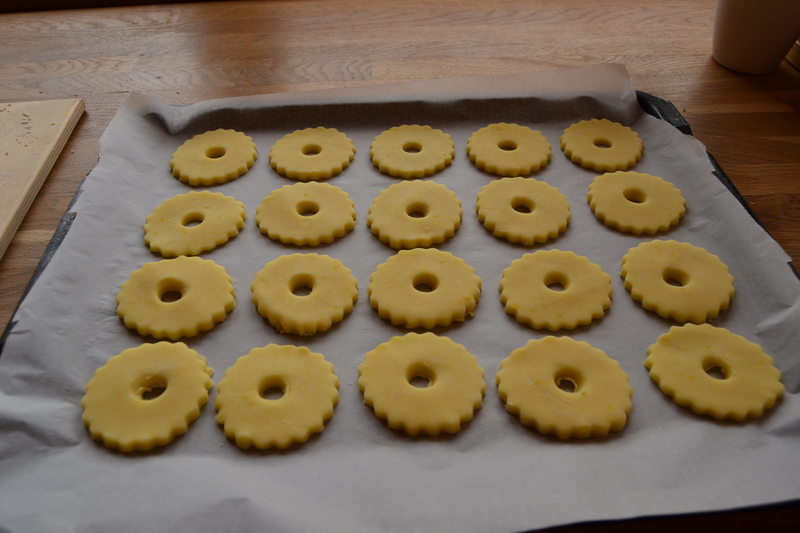 A note: I do not have the right cookie cutter and the original cookies are supposed to be thicker than this in the photo, about 1cm … so the cookies i’ve baked are Canestrelli my way !!! Crumble the yolks. Mix all the ingredients with the yolks and knead by hands. When the dough is ready, chill it in the fridge for 30 minutes. 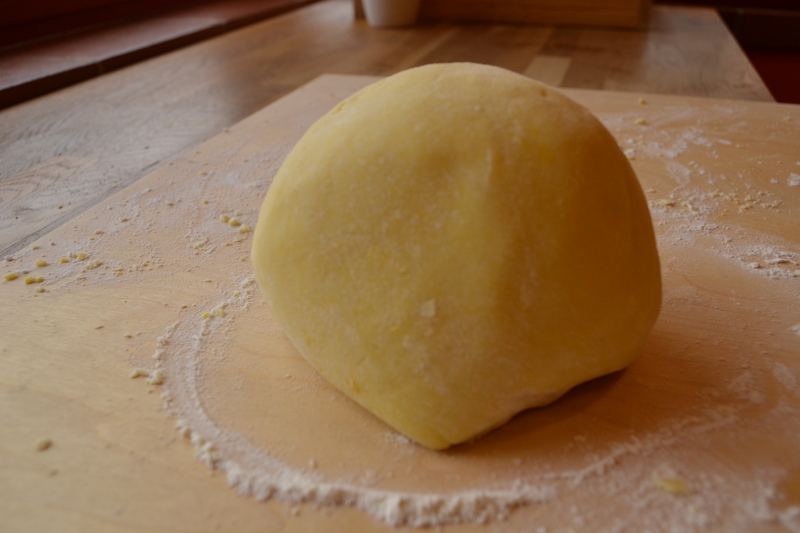 On a floured surface roll out the dough, 1cm high (but i like half a cm !!!) 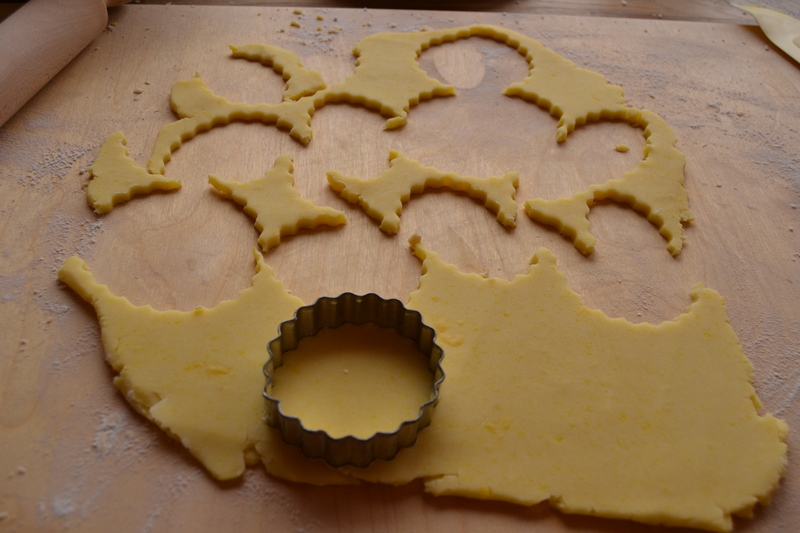 , and cut the cookies with a cutter doing also holes in the middle. 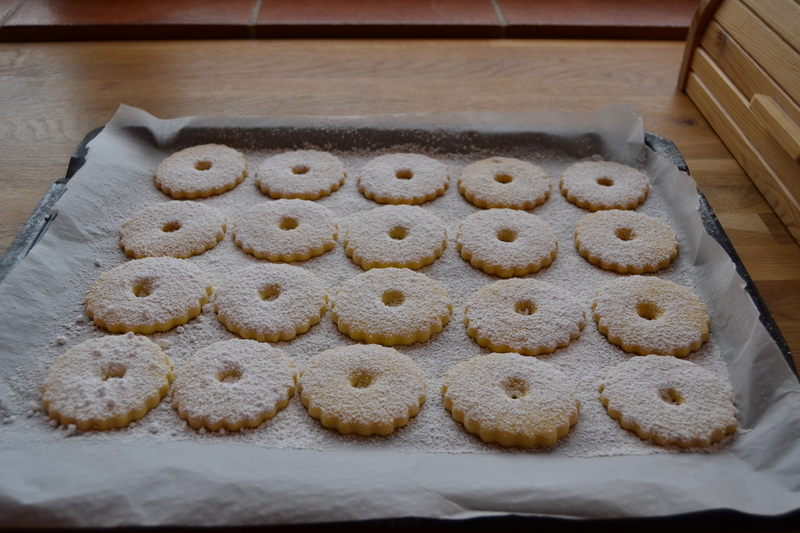 Baked them 170°C for 20minutes, the cookies have to remain lightly brown. 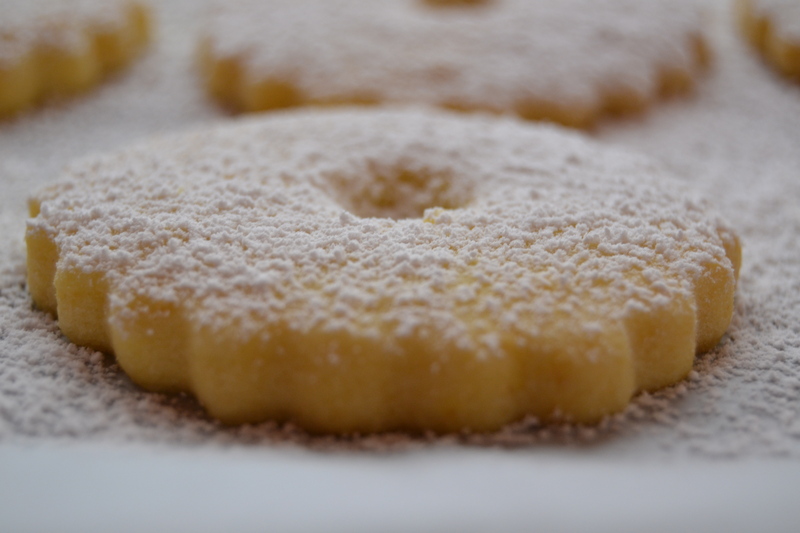 Put the powdered sugar on top when they are perfectly cold. These cookies are so pretty. When they’re cool are they soft or crunchy? when they’re cool they are not crunchy or soft, they are crisp,crumbly and friable !! !